The government has proposed subsidy up to Rs 1 lakh for micro and small enterprises to encourage them to use cloud computing for information and communications technology applications, reports media. In cloud computing, MSMEs use Internet to access common as well as tailor-made IT infrastructure, including software, for managing business, reports leading news agency PTI. The subsidy will be provided on user charges for 2 years. The proposals are part of the modified guidelines of the scheme for 'Promotion of Information and Communication Technology in MSME Sector'. It centres around cloud computing which is emerging as a cost-effective and viable alternative compared to in-house IT infrastructure. "The benefits that accrued through implementing information and communications technology (ICT) for subsidy period in their enterprises will motivate MSMEs to continue to use the ICT application with their own expenses after this period," the MSME ministry said in the draft guidelines. The subsidy disbursed will be through the direct benefit transfer route. The MSMEs initially will make a full payment to the service provider. The office of the development commissioner MSME will disburse funds to Telecommunications Consultants India Ltd (TCIL), which in turn will transfer it to the account of MSMEs. "It has been observed that MSMEs are generally not availing of the benefits of ICT application and cloud computing for promotion of their business. 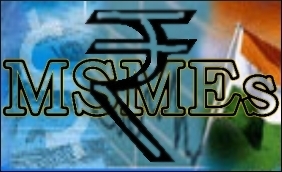 Therefore, it is proposed that MSMEs be sensitised regarding the benefits of ICT, including cloud computing application for business promotion, at a cost of Rs 5 crore," the MSME ministry said. Cloud computing services will be provided in two categories. Under the first, maximum subsidy of Rs 1 lakh per unit will be disbursed over 2 years to micro and small enterprises. In the second, services through cloud at much lower cost will be offered to the desirous micro, small and medium enterprises. The subsidy will be on cost of usage services, which will be shared by the central government and the micro and small enterprise units availing of it. The total budget outlay in the scheme for this activity is Rs 69 crore with the Centreâs contribution of Rs 41.40 crore for 2 years. The MSMEs will have to apply to the service provider and place their request on the official website or the national portal for taking the benefit of subsidy. Great initiative by government. It will streamline the productivity of company. It will also help domestic software companies to grow and compete. Hi working in consultancy firm, wants to know the status of ClCSS.